Let Us Fix Your Toilet Today! When your toilet isn’t working, it’s easy to feel anxious, frustrated, angry, and more. However, you don’t have to stay in a place where you’re feeling down. Instead, call the plumbers at G.T. Campbell and get your toilet problem solved for good! Even if your toilet is technically still functioning, call us today before it gets worse. When you call G.T. Campbell, you can rest assured that you have done what you need to do to get your home fixed the right way. You can’t control when things break, but you can control how you respond when they do and who you call for help. 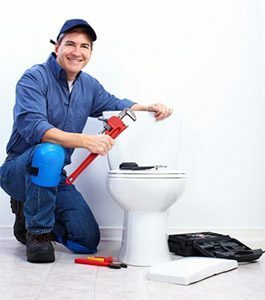 Our plumbers in Webster NY are skilled, efficient, experienced, and kind, and they’ll use all of those skills to get your toilet working well again. It can be difficult, as a homeowner, to know where your best interests lie when it comes to replacing vs. repairing a toilet. After all, you don’t want to have to fix your toilet over and over again. However, you also want to get as much life out of it as possible. Here are some things to consider when you’re making your decisions. Do you like your current toilet? If your toilet is broken and you really don’t like its size, the way it looks in your bathroom, or something else about it, maybe it’s time to have us install a new one, rather than repair the old one. How much money do you have available? Replacing a toilet is an investment in your home. If you don’t have the money to do that right now, then the old one can likely be repaired. (We’ll be sure to tell you if it can’t!). If you do have the money, then maybe now is the time to get a toilet you’ll be able to trust for years to come. How many repairs have you made? There’s no doubt that the cost of repeated plumbing repairs adds up. If you have spent quite a bit of money trying to get your toilet to work and it’s still having issues, it might be worthwhile to consider investing in a new one, instead. How long to you plan to be in your home? If you are going to move soon, you may not want to put money into a new toilet. If you’re going to be there a while, though, you may want to put money into a toilet you know you won’t have to worry about. Ringing up G.T. Campbell is one of the best decisions you can make for your home. After all, we aren’t just the plumbing experts in the Webster, NY area, we’re the people experts, too. We know that you want more than a good plumber – you want someone who will treat you well, be honest and upfront with you about everything, and get your home working the way you need it to work. Let us show you that we can do all that and more!